To boast an accolade as one of the most influential melodic death metal bands of all time is one thing, to add one of the 90’s seminal albums is another, but to reform and keep the creative juices alive after 25 years is another matter entirely. 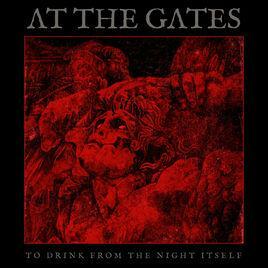 The melodic death metal world was excited when At The Gates announced their full reformation in 2009, but did little to cement this until 2014 when they released ‘At War With Reality’, the album that finally put them back into their stride, but it would be another four years before At The Gates would follow this up with their latest album ‘To Drink From the Night Itself’. 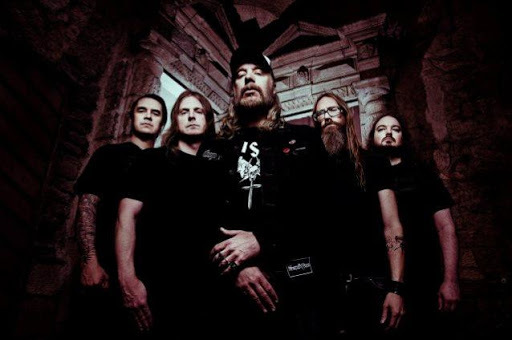 As an album, ‘To Drink…’ is an absolute gem, it is full of the rhythmic pulsing beats, meaty guitar riffs and Tomas Lindberg’s trademark growls that are expected with any At The Gates album. Furthermore, with this album, the band have a renewed sense of vigour and urgency about their playing almost making it feel like little time has elapsed between the bands heyday and now, 23 years later. This is partly due to Lindberg who does a superb job at leading the band through each song and partly down to the fact that ‘To Drink…’ rumbles along quickly, wasting no time with meandering solos or endless melodic passages, instead the album lasts approximately 45 minutes with the longest songs clocking in at under five minutes. Moreover, the albums longest song ‘The Mirror Black’ is not only the final track, but also a fantastic way to close the ‘To Drink…’, it is eerie and haunting, particular in the closing moments which serves to enhance albums overall sound and appeal. However, it is ‘Palace of Lepers’, ‘Daggers of Black Haze’ and the title track which steal the show for At The Gates. These tracks are gruelling masterpieces, full of perfectly placed guitar riffs, beautiful instrumentation and excellent craftsmanship, the piano segue during ‘Daggers of Black Haze’ is so subtle in the way that is placed that it seems almost innocuous before building to be one of the bands most fierce tracks. ‘To Drink…’ shows the maturity behind At The Gates, their music oozes with the professionalism that only comes with experience and although this album may be a far cry from the band at their most brutal and devastating, yet ‘To Drink…’ is an excellent surprise for the year as well as being a surprise for those who had written off the band. This album is exciting and fresh, it is At The Gates doing what they do best, no frills, no gimmicks, just pure melodic death metal.